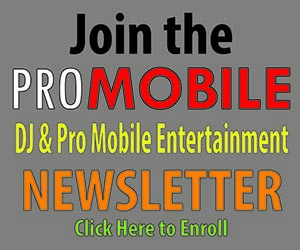 When I established my mobile DJ entertainment company 15 years ago, I had no intention of offering karaoke services. Earlier I had been traumatized by watching a drunken karaoke night at a college bar. In my mind, karaoke was raucous and tacky, and I wanted no part of that scene. Fast forwarding to a few years later, I had invested money towards becoming a video disc jockey. While guests loved my sets spinning music videos, few clients were willing to pay extra for the service. In the meantime, the phone kept ringing with inquiries for karaoke. I’d say, “sorry, I don’t do karaoke” and then refer them to a friend. Shows like “American Idol” and “The Voice” inspired the masses to channel their inner pop star. Eventually, I decided to capitalize on the demand and began offering a karaoke service. I invested in an initial song library and used the equipment from my video disc jockey setup to get started. I cut my teeth on the scene by hosting a karaoke night at a bar in my hometown. I did this job for four years and during that time significantly improved my emcee skills. Fast-forwarding to the present, about 15% of my book of business derives from karaoke, encompassing regular bar jobs, family events, and corporate events. Karaoke is immensely popular for company holiday parties and teambuilding events. Surprisingly, I’ve found that few mobile DJ companies offer karaoke. Below, I share the popular myths of karaoke, and later offer tips for getting started. Karaoke is Tacky. As a karaoke host, you’ll encounter singers of various abilities. One of the delights of the job is working with wonderful singers whose versions you come to savor even more than the original. 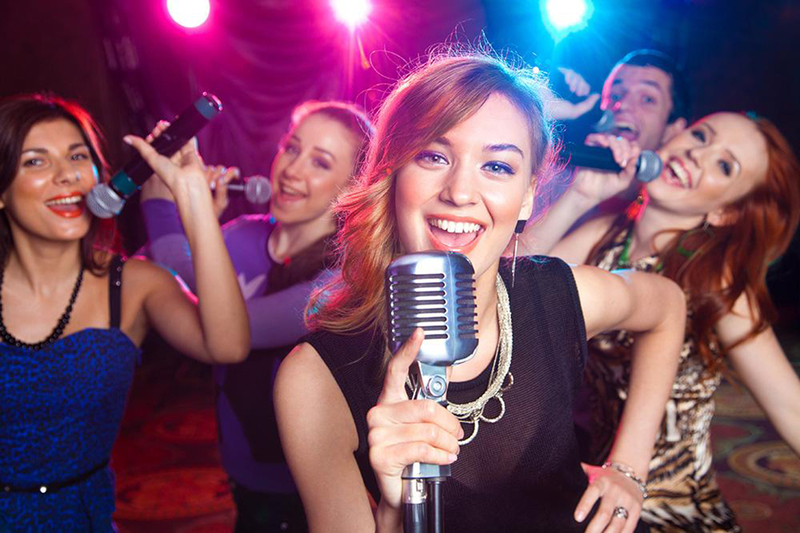 Many aspiring musicians enjoy dropping in on karaoke nights to show off their skills. You will certainly meet many quirky guests in the karaoke world. You’ll also meet some super cool people who will become your friends. You Need to Be a Great Singer to be a Karaoke Host. Not necessarily! Being able to sing a few songs to get the party started is a huge asset. Many karaoke hosts also have a signature song up their sleeve. More important though is the ability to be a great emcee to make the singers feel like stars and to pump up the party. Unlike some karaoke hosts who sign at every opportunity when there’s a gap in the lineup, I prefer to spin music videos and encourage guests to sign up. Karaoke is Restricted to Low Paying Bar Jobs. This is not at all the case. While $250 per night might be the best a DJ could hope for at a bar night, in the private events world one could easily charge $250 per hour (and up) for corporate events, particularly when pairing karaoke with polished production elements like big flat screen TVs and stage lighting. Karaoke aficionados also enjoy hosting private events for their family and friends where they can sing. I’ve even offered karaoke weddings to couples who love to sing! DJs who Offer Karaoke Cheapen their Appeal for Upscale Events. Even with “karaoke DJs” having a somewhat tacky or flamboyant image in the minds of some, I’ve been able to successfully balance the two personas. I’m careful on my social media accounts to minimize the number of posts from the bar/nightclub world. If this is of particular concern, then a DJ can start a karaoke fan page on Facebook. If anything, regular karaoke gigs offer the opportunity to build deep relationships with the regulars and bar staff. These relationships tend to flourish into referrals. The biggest barrier to entry to becoming a karaoke DJ is establishing a substantial and legal song library. Due to rampant piracy in the industry, companies who previously offered karaoke songs went out of business or stopped issue new recordings. As a result, karaoke music can be difficult (and expensive) to source. I personally purchase new tracks for about $2.50 per song from Sunfly Karaoke’s North American portal (http://www.sunflykaraoke.us). You are wise to have a well-diversified song library by musical decade and also have the hottest current songs with big vocals. Along the way, you will also meet aspiring rappers who will want to spit some rhymes to Eminem or Kanye West. Regarding microphones, singers enjoy using wireless microphones. With alcohol flowing, microphone drops are likely – even at upscale corporate events – so I recommend durable and moderately priced wireless microphones. VocoPro offers some nice all-in-one wireless microphone sets at an attractive price point. To avoid equipment damage/breakage, some karaoke hosts only offer wired microphones which tend to be very durable. You’ll need a powerful software program to help run your show. I’ve always used Virtual DJ which allows me to easily mix between karaoke, music videos, and audio tracks and offers karaoke-specific features. Many karaoke hosts swear by the program Karma offered by Karaosoft which offers analytics that tracks specific singers through the weeks. Despite its raucous reputation, karaoke offers a fun and lucrative opportunity for mobile DJs using equipment and skills that they already have. Importantly, the demand for karaoke services shows no signs of abating, so why not capitalize on the opportunity?